Got questions about your prescription? Manitoba may just be the fifth most populated province in Canada, but when it comes to the necessity for ostomy care, it ranks disproportionately higher. This is due in part to unique demographic factors that relate to health and wellness. 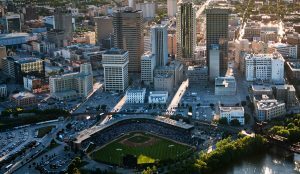 For example, Winnipeg is home to both the total highest aboriginal population in the country, and also the highest per capita proportion of indigenous residents. Manitoba itself has the highest percentage of indigenous people of any Canadian province, at an estimated 17 percent of the overall population. How is this relevant to ostomy care? Recent data shows that the burden of colorectal cancer (CRC) is increasing in the First Nations community in Manitoba, while at the same time the community is significantly less likely to be screened for CRC, which results in late diagnosis. But this is just one characteristic that makes the province so unique in this capacity. A current study of a target population comprised of nearly 3000 persons receiving services from the Manitoba Ostomy Program showed that approximately 56% had a colostomy, while up to 31% had an ileostomy, followed by over 8% living with a urostomy. Over 5% of respondents in the study indicated another type of stoma or fistula. Suffice to say, that up until this past year, adequate ostomy supply was not there to fill the unique demand in Manitoba. Inner Good seeks to put an end to this, to ensure equal and affordable access to ostomy supplies for all Canadians. The Manitoba Ostomy Program (MOP) provides coverage to residents of Manitoba who are registered with Manitoba Health Services Commission and have lost the normal function of their digestive or urinary system, necessitating an ostomy or fistula management, or who have drainage from their respiratory or lymphatic system in a quantity necessitating use of an ostomy appliance. As of 2004, the Manitoba Ostomy Program provides 100% coverage for supplies deemed fit by your Enterostomal Therapy (ET) Nurse. You would likely have been registered with MOP upon discharge from the hospital. If you have not yet been admitted into the MOP program, you may contact your ET Nurse. The ET Nurse will perform an assessment and determine the type and quantity of ostomy supplies you need. Products can be ordered on a bi-monthly basis. If at any point in time you want to request a new type of product to be covered by the MOP, you may do so through your ET Nurse. They must order the item for the first time, and monitor the quantity and combination of supplies being used. From there, they will decide whether or not the product will be included for converge by the MOP. Since product trials are conducted when ostomy support items are deemed as cost-effective alternatives, you may alert your ET Nurse about any scenario where supplies purchased on a volume basis becomes more cost efficient (per person), when compared to retail or other reimbursement systems. Put your ET Nurse in touch with Inner Good if you’ve identified a new product and/or a more cost effective solution to fulfill your ostomy supply needs. Given that the MOP provides 100% coverage for approved products, you are left with some breathing room in your budget for personal purchases (supplements, hygiene products, etc.) that can greatly increase your quality of life. Easy Online Purchasing – Order your supplies from our online shop and receive FREE shipping right to your door with a $100 minimum purchase. Discreet and Quick Delivery – Your order is processed immediately and automatically slated for shipping. Your supplies will arrive on time and in discreet packaging at the Quebec address of your choice, each month, without hassle. Full Support – Your first purchase order is just the beginning. At that point you have entered into a relationship with Inner Good. That means you can call or email us with your questions about shipping, product information, special promotions, and much more. Begin that conversation today by calling us at 1.844.466.3939, complete the form found here, or connect with us on Facebook, Twitter, and Instagram.